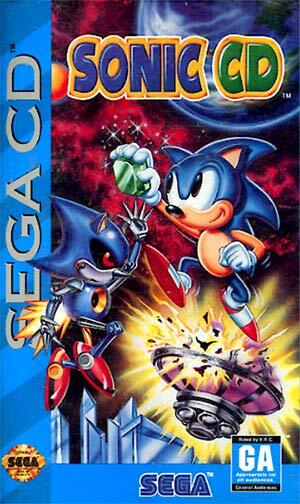 Classic Gaming Spotlight: Sonic CD - She's Lost Control! Sonic CD was, of course, the Sega CD’s obligatory Sonic game. However, it wasn’t just Sonic 2 with a shiny, CD-powered coat of paint. Sonic CD introduced elements that haven’t been seen before in Sonic games, and wouldn’t be seen in any subsequent Sonic titles. Sonic CD tells the story of Sonic’s adventure on the Little Planet. 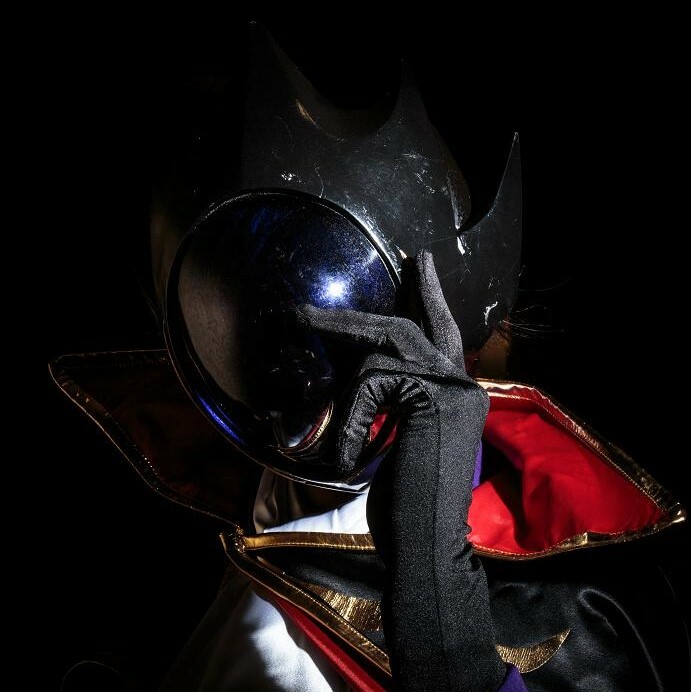 Robotnik, seeking to control the Little Planet, took it over, building machines and robot factories on it. 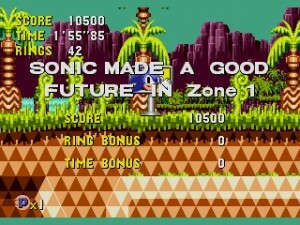 Sonic must gather the Time Stones (Sonic CD’s version of Chaos Emeralds) in order to right the Little Planet and defeat Robotnik. Sonic CD’s gameplay differs substantially from contemporary Sonic games of the time. From top to bottom, Sonic CD is built to encourage an altogether different style of play, and it’s obvious from the very beginning. The game’s core mechanic is that of time travel. 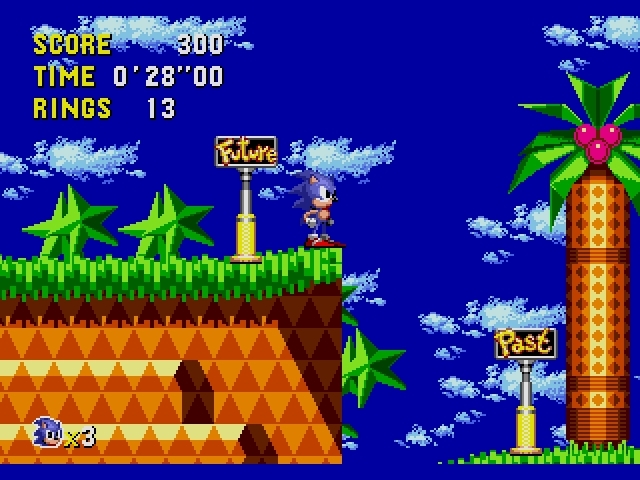 After passing a “PAST” or “FUTURE” signpost and moving at high speed for a while, Sonic will travel to through time to a different version of the level. Each level has four versions: Past, present, good future, and bad future. Placement of hazards, badniks, and even parts of the level’s structure (In addition to the level’s color palette), change with time, and affecting the timeline is a big part of the game. 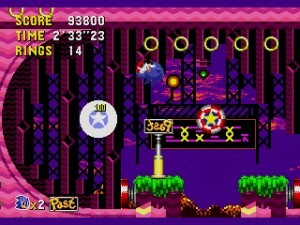 The “Past” version of each level has a badnik generating machine somewhere in the level. 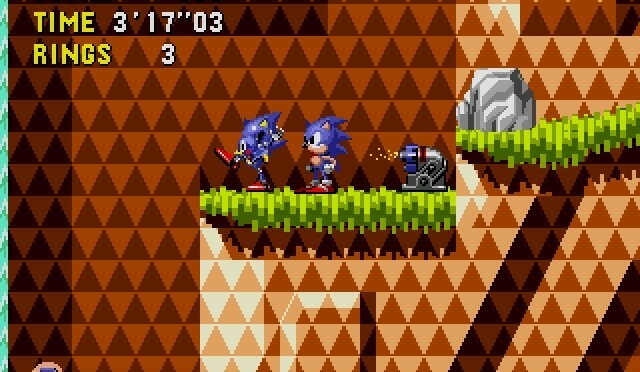 Destroying this affects the timeline, making the level’s “Future” version a good one, with no badniks and much fewer traps. Making a good future in every level, as well as collecting all the Time Stones from the special stages, is the only way to get the best ending. 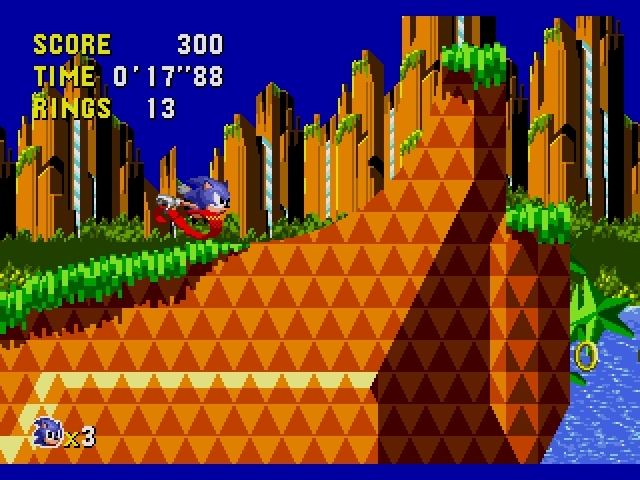 Sonic CD’s level design is remarkably different from that of other Sonic games of the era. 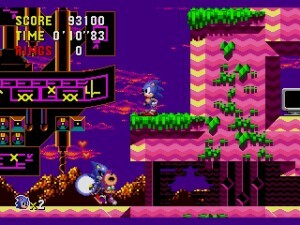 Sonic CD’s levels are designed to be explored. 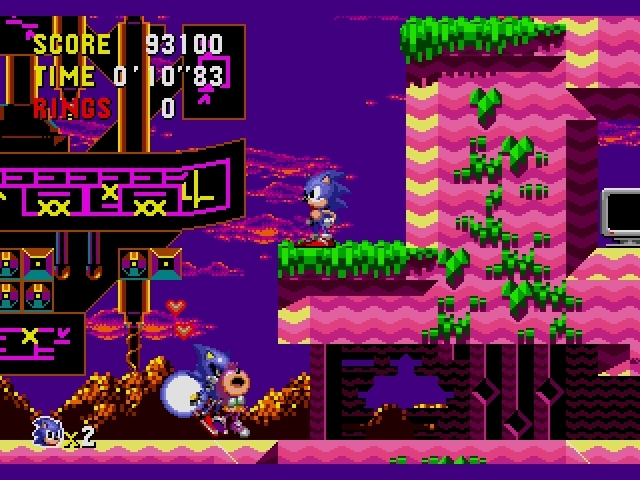 While Sonic 1, 2, and 3’s levels are largely horizontally-oriented, many of Sonic CD’s levels have a large vertical component, encouraging exploration, which is needed to find all the secrets in the levels. 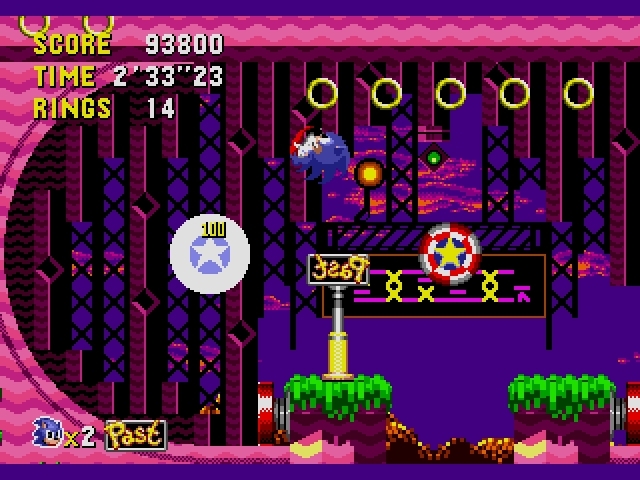 Sonic CD, however, doesn’t deviate from the Sonic level conventions we’ve all come to love. From the obligatory tropical island first level in Palmtree Panic, to the pinball bounce-around Collision Chaos, and Tidal Tempest, the dreaded water level, all the way to a double-dose of the massive factory zone in Wacky Workbench and Metallic Madness. 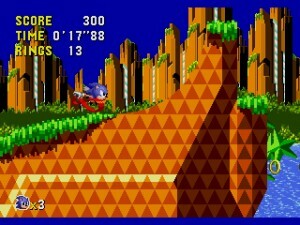 If you’re a Sonic fan and you haven’t played Sonic CD, what are you doing!? You’re looking at easily the best sidescrolling Sonic game ever created. A combination of fresh, well-implemented game mechanics and the Sonic gameplay we all know and love, make for a challenging, fun, fast-paced platformer with tons of replay value. It’s my favorite 2D Sonic game for a reason, folks. Also, it’s recently been announced that Sonic CD is being released on the Xbox Live Arcade and Playstation Network later this year.